Group Travel at Houghton Hall & Gardens01485 528569work Group VisitsPalladian mansion and state rooms. Award winning 5-acre walled garden. Contemporary sculptures in gardens and grounds. Deer park. 20,000 model soldier museum. Licensed Café, Gift shop, picnic / play area. Private guided tours by arrangement. Group sizes - min 20, max 60, full catering facilities (60 covers), Private guided tours (extra cost), free coach parking, Gift shop, pre-booking necessary for Private guided tours. Palladian mansion and state rooms. 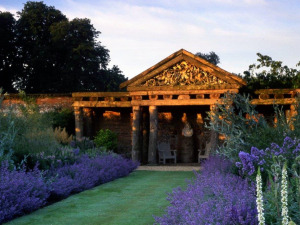 Award winning 5-acre walled garden. Contemporary sculptures in gardens and grounds. Deer park. 20,000 model soldier museum. Licensed Café, Gift shop, picnic / play area. ACCESSIBILITY: Lift up to state rooms in hall. Flat entry to ground floor. Gravel paths and grass areas in walled garden and park.